Join WCHS for a fun, festive, and free holiday open house! Take a behind-the-scenes tour of the shelter, chat with staff, and meet some adoptable animals! Guests will enjoy complimentary apple cider and hot cocoa. 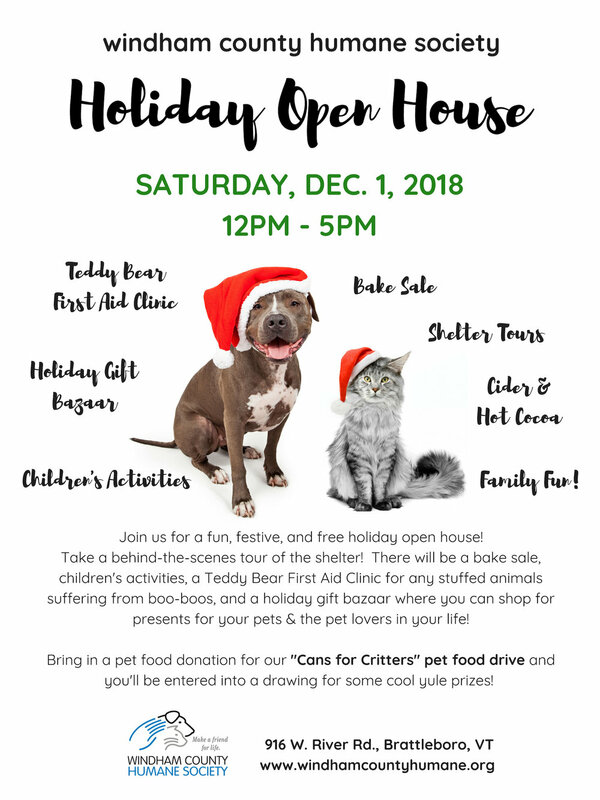 There will be a community bake sale, children's activities, a Teddy Bear First Aid Clinic for any stuffed animals suffering from various boo-boos, and a holiday gift bazaar where you can shop for presents for your pets and the pet lovers in your life! Bring in a pet food donation as part of our "Cans for Critters" pet food drive and you'll be entered into a chance drawing to win some super cool yule prizes!